Chandigarh : Students of Panjab University organised a “Mashal” march on the occasion of Birth Anniversary of Shahid e Azam Bhagat Singh, the real Indian youth icon. Vipul Atray, joint secretary of PUSC, has urged the students that to memories this great hero only for one or two Day only is not enough. But we should adopt Bhagat Singh’s legacy, I.e. his life, his messages and his wishes as guiding torch of our life. 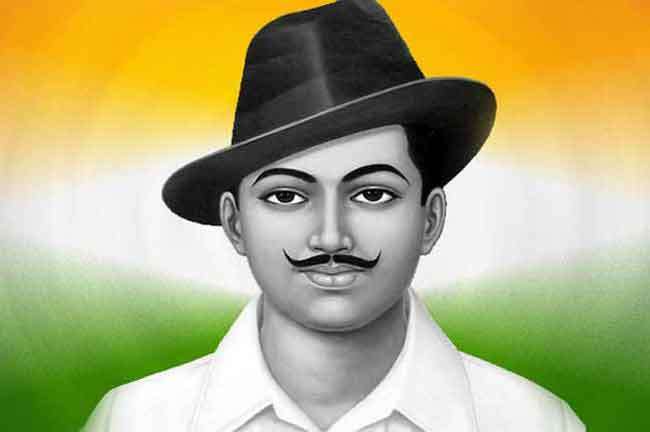 Vipul also said that during his jail days Bhagat Singh urged the students to participate actively in politics for a prosperous nation and society in his essay “ youth and politics” . Today when negative propaganda’s on the name of caste, religion, region etc are dividing the nation, it is duty of intellectuals of university, that are college and university students to put the nation and society on right track by raising our real social issues like employment, inflation, empowerment of deprived classes and fighting against western imperialism forces.